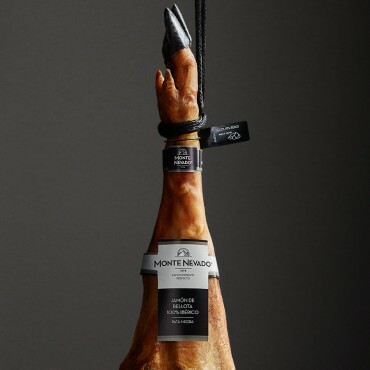 Our bellota shoulder 100% Iberico breed comes from free-range animals of pure breed that during the mast feeding of the montera period roam in the dehesa oak forests where they feed on acorns and grass. 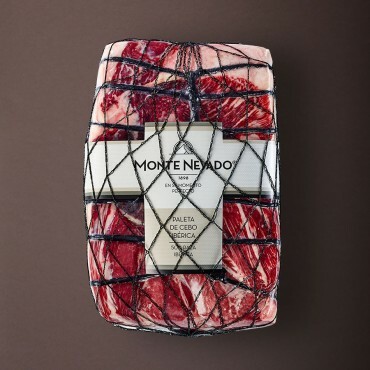 Tasting note: Meat is a deep red color, beautifully marbled, shiny and unctuous. This lightly fatty meat has sweet, nutty undertones and melts in your mouth. 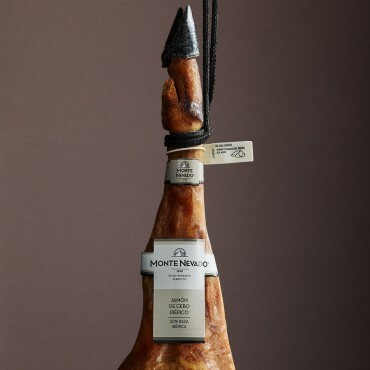 Intense country flavor with an aftertaste that lingers between the tongue and palate. Weight: 4,5 - 5,0 Kg. 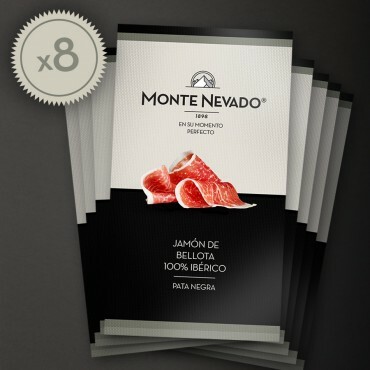 Monte Nevado selects its dehesa oak forests by looking for sweet-tasting fruit and an abundance of grass and water. 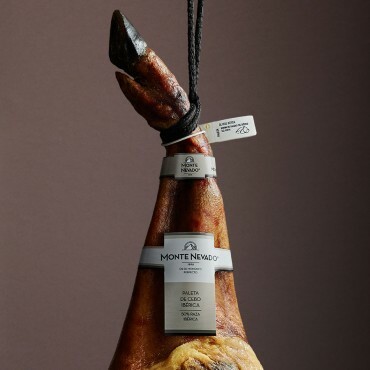 Our slow and lengthy natural curing process allows us to get the best aroma and flavor from each piece: each one reaches its point of perfection at a different moment. 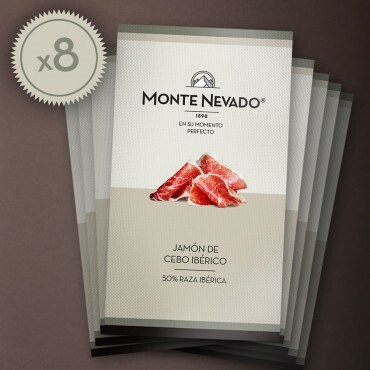 All of the cellars and dryers at Monte Nevado are situated in natural environments. Additionally, the windows allow us to take full advantage of the fresh mountain air, just as our forefathers did. This makes our drying process softer and more natural.